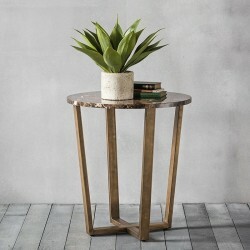 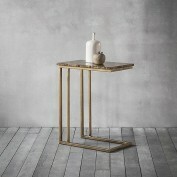 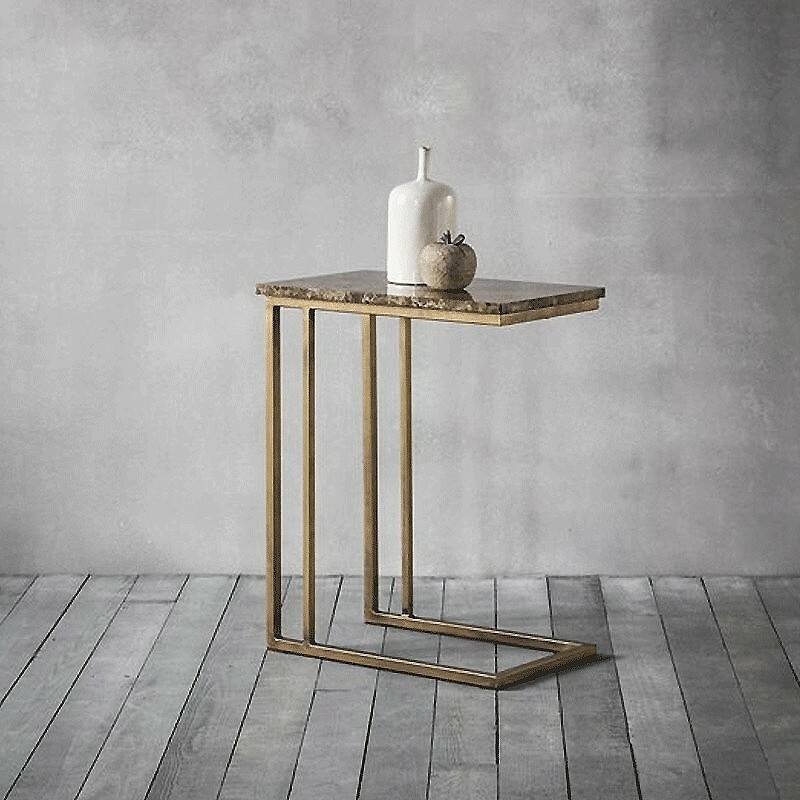 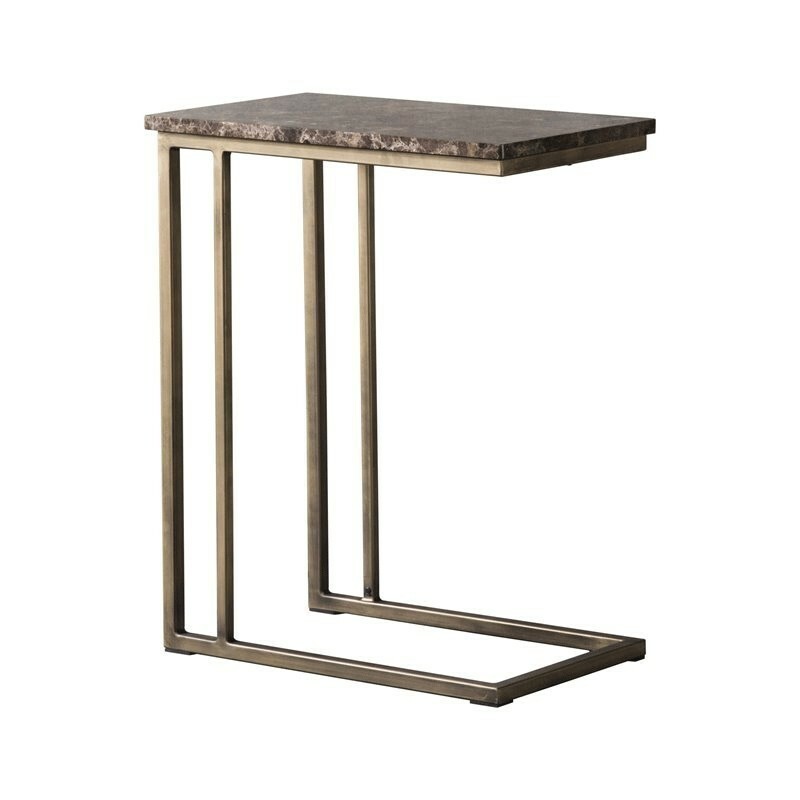 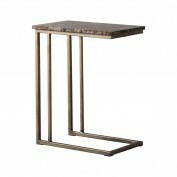 This striking supper table has a gorgeous marble table-top that sits on an elegant, geometric brushed-brass frame. 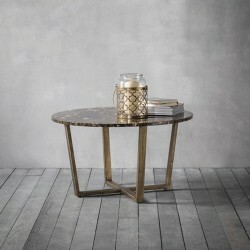 Combining mid-century and Art Deco motifs, the Emperor supper table has been given a stunning vintage look. 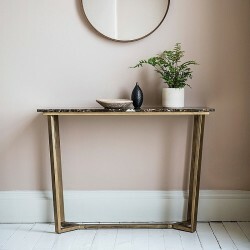 Designed to be used as a table-top for casual meal whilst on your sofa or armchair, this could also be used independently as a side or bedside table.